« Plane Smart, Not Plain Stupid: The Evil Ones Hurt Equality, The Environment With Private Jets… And They Love It! It just formally surfaced that Brexit was paid in part by foreign money. The UK government disingenuously claims it can’t do anything about it. Even the Washington Post finds this alarming, and discovered that financial plutocracy was the force behind Brexit (see quotes below). Financial plutocracy is the world’s great organizer at this point, ever since the Clinton presidency put it in power. Brexit was driven by plutocracy. Plutocracy always molds minds. Consider Roman emperor Constantine literally inventing Catholicism, to better exert his terror. The plutocratically owned British tabloid newspapers were the primary mind molders which build the Brexit mood. The Sun (Murdoch), Daily Mail, Daily Express and the Daily Star command at least 75% of the market. The Daily Telegraph is of the same sort, and even the BBC mass produces anti-European propaganda. They’re as rabidly racist, xenophobic and anti-Immigrant. They relentlessly compare the EU to the Stalinist Soviet Union and Nazi Germany imploring their readership to summon their ‘Dunkirk Spirit’, to once more vanquish the enemies of freedom and take back control. Pluto tabloids completely misrepresent how the EU works. The argument can easily be made that the EU is more democratic than the UK, After all, the EU has no Lords and no chamber of Lords, nor an immensely wealthy tyrant privy of the affairs of the state, living in an assortment of big castles, with her enormous famous family living on the world’s most expensive dole. This is serious business: Brexit will restart the Irish civil war, which the EU accords had terminated, twenty years ago. People are already getting assassinated. 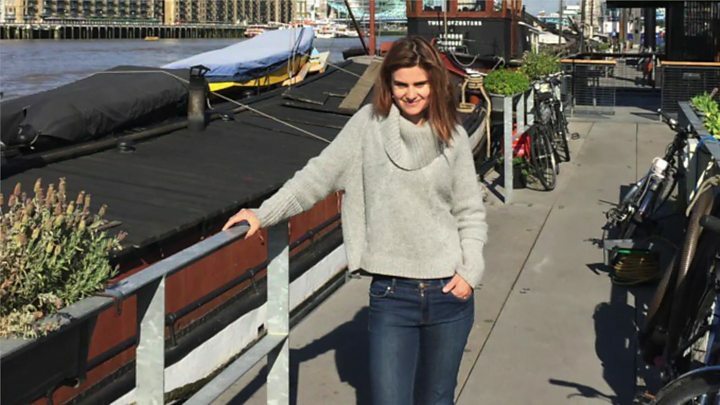 Mother of two young children, and Member of the British Parliament, Jo Cox was assassinated because of the mood of anti-European hatred ruling Britain, installed by the global Plutos. Brexit is not exactly Nazism, but the basic idea is the same: kill for the (imaginary) tribe! And the basic fundamentals identical: manipulation by global Plutos, installing a mood of hatred. Murdoch or Murder-rock, that is the question. “Elements of the 2016 British referendum campaign have long seemed familiar to Americans. There was a close, controversial election, full of rancor and anger. There were a lot of wealthy men talking about “the people” and their “will.” There were targeted advertising campaigns, stolen data and fake social media accounts. But now, with only a few days left until Britain is due to face the consequences of that vote, the Brexit story suddenly looks even more familiar: One of its protagonists turns out to have much deeper Russian business connections than previously suspected. He also tried to conceal them. Of which Europe is the main victim, ever since the Kaiser plutocrats, secretly allied with the Wilson US presidency, declared war to Russia (August 1 1914), and then drove two million armed men into Belgium, to try to catch a vacationing French Republic from behind (August 2, 1914). “But even if this [Banks] story won’t delay Brexit, it does firmly locate the referendum within a larger context. The truth is that Britain has become a place where untransparent money, from unknown sources, is widely accepted with a complacent shrug. London is the world capital of offshore banking, home to the most sophisticated accountants and lawyers; a third of British billionaires have availed themselves of those services and moved their money beyond the reach of the state, according to a report Thursday in the Times of London. Many of them nevertheless continue to make donations to British political parties, and many continue to lobby to keep the rules that favor them exactly as they are. Finally, though, the French Republic, pushed by a simmering popular insurrection, decided not to wait for the rest of Europe. The French government has launched unilaterally a GAFAM tax which should hit 30 or more companies which have huge revenues in France, but they disingenuously claim, no profits. This sort of European measure is exactly what global plutocrats were afraid of: being taxed from their revenues, not their declared fake profits. Plutocrats thus decided to weaken the EU by cutting off Great Britain. Historically, plutocracy is a disease which doesn’t hesitate to destroy the state which has allowed it to appear. An example is the Roman Republic, and then empire: Roman plutocracy didn’t hesitate to lethally wound both. Roman plutocracy survived the collapse of the Western empire (it allied itself with the invading barbarians). If plutocracy had not thrown the EU into chaos and confusion with Brexit, the great danger for those rulers of humanity, was that the anti-plutocracy laws and measures taken by the EU, had the EU taken them, would have created a similar mood of anti-plutocracy resistance in the USA. Should then EU and the US have taken joint measures against plutocracy, plutocracy would be finished and the West rejuvenated with a cure of equality. That, thought the plutos, had to be avoided at all and any cost. And they tend to hold the media, especially in Great Britain. Some wonder: why are plutocrats so nasty? Because pluto-cracy doesn’t just mean money-power, it also means, more generally, evil-power. There is a Dark Side to humanity, and those who become extremely wealthy tend to get sucked into it. Overruling republic and democracy then becomes their obsession, because they have everything, but that. All democrats have to fight Brexit, they are facing the fundamental enemy, the same one which financed Hitler, as early as 1920 (some of the same institutions which did this a century ago are still around, and as powerful as ever… let alone the same ideas, moods and habits…). The British state does not have the legal tools to force Banks to show where his cash came from. The British media continue to investigate, but if anyone were trying to influence the British referendum campaign from outside the country — beyond the social media manipulation that is now de rigueur in almost every election — it’s possible that we’ll never know. And here’s the final irony: If Brexit was the creation, in part, of this new world of offshore money and political influence campaigns, Brexit may well ensure that it continues unrestricted. The E.U. is probably the only power in Europe — maybe even the only one in the world — with the regulatory strength to change the culture of tax avoidance. And since 2016, it has been slowly enacting rules designed to do exactly that. Britain, once it leaves the E.U., may well be exempt. British industry might suffer after Brexit, and British power will be reduced. But the gray zone — where politics meets money, where foreign money can become domestic, where assets can be hidden and connections concealed — will survive. Perhaps that was the point all along. Thus talked Bezos, and he talked well. Brexit should be suspended for one year. The European Parliament could sit without Britain, for one year. Thus “Remain” would win, in a (3rd!) referendum. Real problem: French republic, and other pro-european actors, are fed up with UK plutocracy, & wants clarity, Brexit. It is correct that making Great Britain into Norway (pay and shut up, to access the European Custom Union) maybe the best way to manage British plutocracy. However, a “#People Vote” can’t be avoided. It would be unreasonable for the rest of the EU to kick Britain too hard when it’s down, because of its subjection to global plutocracy! When running a mental asylum, after driving We The People insane, an elite has an excuse for abuse… Beyond the self-abuse the inmates visit onto themselves. That’s precisely why a plutocracy tries to make We the People crazy and worthless. Yet, that doesn’t mean those standing outside should get along. This entry was posted on March 9, 2019 at 11:59 pm and is filed under Uncategorized. You can follow any responses to this entry through the RSS 2.0 feed. You can skip to the end and leave a response. Pinging is currently not allowed. Ergo the Plutos must be tired of the EU, if we buy your basic assumption that the Plutos caused Brexit (which I don’t; it was a populist movement, even if abetted by Plutos), as the EU is now sunken under debt and ripe for bargain hunting by the dark money trillions of the super-Plutos when they crash the system. The people fighting hardest for the EU now are those whose incomes and very generous pensions depend on it continuing to exist. Same with the MIC in the US–they’re petrified they won’t be able to get another war going! If the Plutos were so good at brainwashing the people, Hillary would have won…. And now the Democrats want to let illegal immigrants vote. Have you ever seen a more desperate political party? Remember that the goal of open borders from the Plutos point of view is to keep the labor force splintered and wages low. As long as “property rights” prevail and they can use one of their central banks to inflict recession on any country that gets too populist, they win. This May will be interesting. PS In you last post you suggest that great evil requires great evil to counter it. I sure hope not, although I suppose that is sort of a “just war” argument. I know quite a few Brexiters: they know nothing, or then are full of hatred against Eurocrats. Plutos are more or less good at propaganda. They hold Britain, or Russia… But not France that much…. The Pluto “open borders” argument is now old hat. We The Peoples have finally understood they were taken for a ride… They want borders back up when it makes no sense to have them down… Hence the “populists” victories (including Trump, Brexit, 5 star/ligua in Italia, etc.). But ain’t so simple. What are the alternative options?